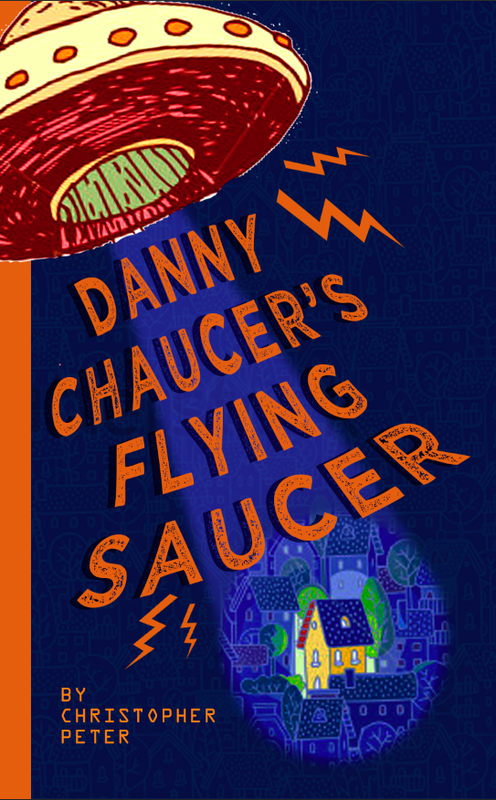 I’ve been neglecting this blog big time recently, being far too busy with life in general but more specifically with putting the finishing touches to Danny Chaucer’s Flying Saucer and completing the first draft of its sequel. But I’m resolved to blog more regularly from now on. Writing’s a solitary business at times and there’s such a great community on WordPress that’s well worth keeping in touch with. Anyway – back to the main point of this post. When I posted my writing resolutions for 2015, high on the list (after completing DCFS) was to finally decide on whether to continue down the self-publishing route or to hurl myself into the purgatory of query letters, agents and slush piles hoping to win one of those vanishingly rare traditional publishing lottery tickets. Both options have their pros and cons of course. For me, the biggest problem with self-publishing is that your book will almost certainly be lost in the crowd. And traditional / conventional publishing, despite the unbelievably high bar confronting prospective new entrants (unless you happen to be a You Tube sensation or random celebrity who may or may not be able to string three words together), is perhaps not a great deal better. Put bluntly, most books don’t sell very well, however they’re published. There are exceptions of course, but they represent a tiny percentage of the tidal wave of new titles published every year. The fact that I’ve sold very few books so far hasn’t stopped me, mainly because I love writing for its own sake. However, I love it so much that I’d like to spend a lot more time doing it, and that’s not really possible unless I start getting a decent income from it. So is there a middle way? Some way to improve your chances of success – to help you make your books as professional as possible and to have more chance of selling it? There is much talk of hybrid or partner publishing, and these terms tend to mean different things to different people. All I can tell you about is what I’ve decided to do, and why. DCFS will be published by a company called Albury Books. They are not a conventional publisher but neither do they publish anything and everything that comes their way. DCFS had to be accepted in order to carry their imprint. I have no doubt that their selection criteria were nowhere near as rigorous as a conventional publisher’s has to be when confronted with a tottering pile of hundreds of unsolicited manuscripts and a budget that probably allows them to take on perhaps one of them. But the fact that Albury do have minimum standards was reassuring. I also liked their website, the fact that they have a children’s book programme, and the appearance of the books they were selling. The covers looked quite professional, for instance. That is not the case with all hybrid publishers’ websites I’ve seen, some of which looked quite amateurish and were jam-packed with covers that absolutely screamed ‘self-published!’ and not in a good way. I know what you might be thinking at this point. I know because I’d probably be thinking it myself: isn’t hybrid just a polite word for vanity? Ah yes, the dreaded vanity press, exploiting authors’ dreams, taking their money for over-priced services and giving poor value in return. Have I fallen into that trap? Well, for me, paid publishing services are not a dirty word (or words) necessarily. Design, editing, distribution, marketing … these things, especially if done properly, all cost time and money. Unless you’re one of the lucky few who secures a conventional publishing deal, they won’t come for free (and even then, much is still expected of the author, especially on the marketing side). Sure, a self-publishing author can do much or even all of it themselves – but to what standard, and how successfully? Let’s be honest. Amazon is full of books that aren’t very good, or have lousy covers, or sell few or no copies. There are also many that are very good, look amazing and/or sell in decent quantities, but they are the exception especially on the sales. There are some things I’m still doing myself, and therefore not paying for, because I’m confident I can do them to a good standard. This includes the text layout and the set-up on Amazon. Albury will be handling the set-up in other distribution channels, on their own website and in POD. The standard of the POD printing of their books, by the way, is definitely a cut above what I’ve experienced with Amazon’s, and therefore I won’t be setting up this book in Create Space. I have to sign a contract, but I get to keep a high percentage of the royalties. The percentage is higher than Amazon’s and certainly miles better than those of a typical conventional publishing contract. But of course, a high percentage of diddly squat is still diddly squat. The idea is to sell some books. Which brings me on to marketing and publicity services. These are available through Albury but they cost, and I’m still evaluating the options here. Two things I know: there are no guarantees when it comes to sales, and even if I pay for some services the onus is still on me. If I don’t believe in the book, I can’t expect anyone else to. I’ll post more about the marketing another time. If you have any views or comments on any of this, I’d be pleased to hear them. Thanks.